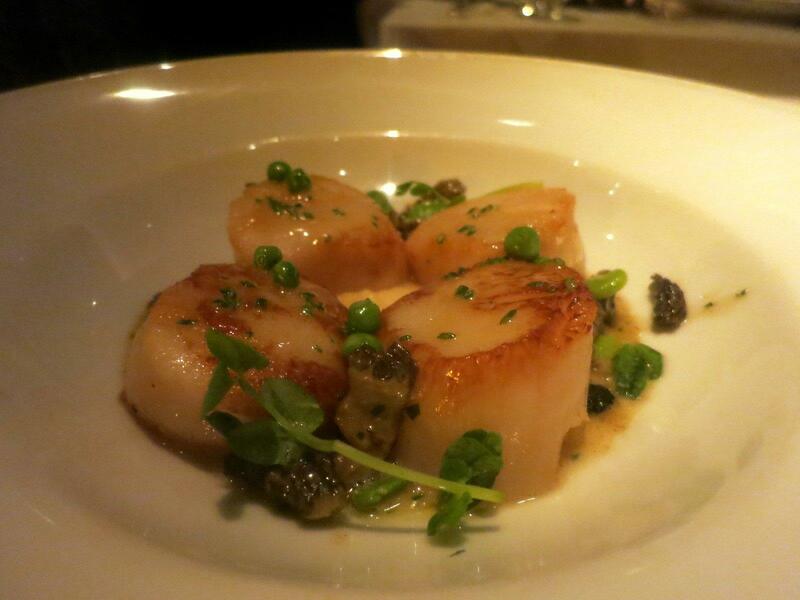 I had the opportunity to eat at Gary Danko last Saturday night. I've been trying to get in here on all of my visits to San Francisco lately, but because I generally take my trips fairly spontaneously, it's been difficult to get reservations. Fortunately, this time I was planning my trip around my reservation at the French Laundry on the previous night; Gary Danko has the same two calendar months in advance reservation policy, so it was straightforward to secure my reservation the next day. When we arrived, we were shown immediately to our table. The room has an intensely masculine feel, with dark wood and large abstract paintings in muted tones such as grey and brown. Tables were generally well-spaced, but the walls are lined with semi-circular banquettes that often make for slightly awkward seating arrangements--in one case, a table for two had the diners separated by nearly six feet of table, while we were crammed into a space almost right on top of the party next to us. 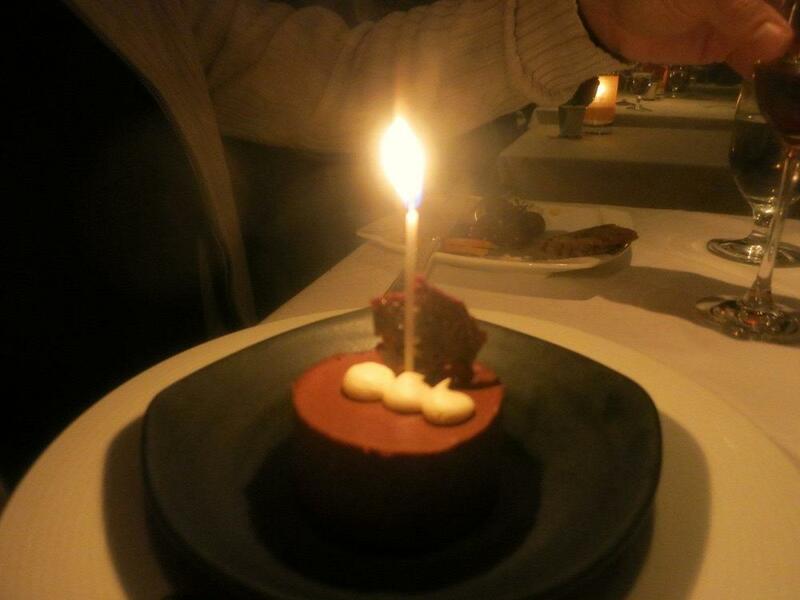 The restaurant seemed to be very proud of its Relais Gourmand and Mobil five star status. Every member of the front of house staff wore two shiny golden pins reminding diners of the awards. Throughout the evening, service seemed equally practiced and considered. Wait staff used very precise diction in what seemed to be carefully scripted sentences. All this gave the meal a slightly surreal feel. Fortunately, despite some awkward pacing (some courses were served nearly on top of each other; at other times, there was an awkardly long wait for food) service was extremely competent, with wait staff always aware of our desires, the progress of our meal, and every other detail that needed attention through the course of the dinner. The format of the menu at Gary Danko is interesting, and reminds me somewhat of the approach taken by March in New York. The menu is made up of five sections (Appetizers, Fish and Seafood, Meat and Game Birds, Cheese, and Desserts). Diners can make up a meal of three, four or five courses by making selections from any of the sections, and it's possible to select more than one item from the "Appetizers" and "Fish and Seafood" categories. Pricing is fixed based on the number of courses ($55 for three, $64 for four and $74 for five), and there is a pre-composed "Chef's Tasting Menu" based entirely on selections from the main menu. One interesting, and nice, feature of Gary Danko is that the restaurant offers a wine pairing option with any menu, for an additional $42 (this is the price for five courses, and it may be cheaper with fewer courses). 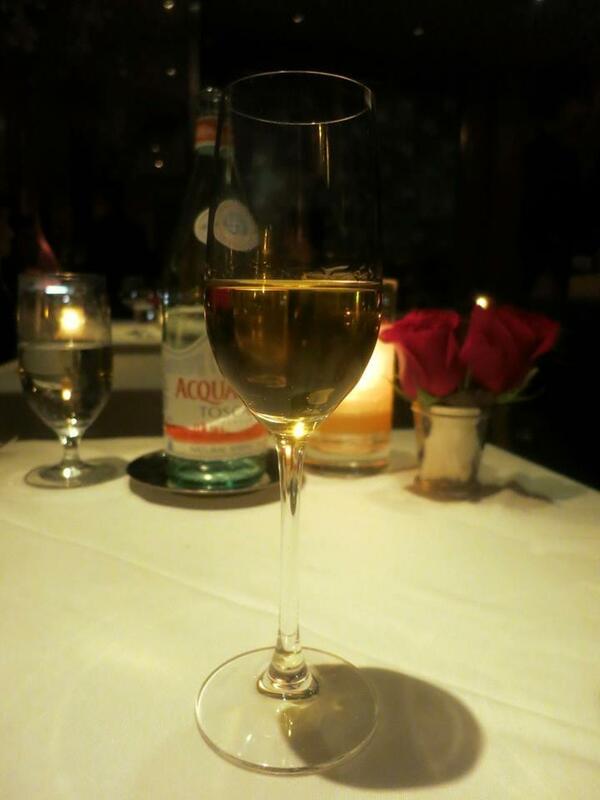 One glass of wine is provided with each course. Below, I've indicated the selections of both my dining companion and myself, as well as the wines that they were paired with. 1. Amuse bouche: Lobster bisque with poached Thai red snapper and mango. 2. 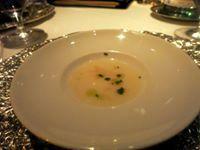 Sweet White Corn Soup with Alaskan Black Cod and Basil Oil.
? ?1999 Albert Morot, Cent-Vignes (Beaune)?? Generally, the food was very good. The interesting flavor combinations, such as the introduction of curry into the lobster salad, worked quite well (in the case of the lobster salad, the curry was balanced by the acidity of the vinegarette against the sweeter lobster meat and fruits) and ingredients were generally top notch. The risotto was perhaps somewhat overcomplicated, with the relatively stronger flavors on the plate clamoring for attention and overwhelming the lobster. I was fairly impressed with the wine pairings. I found the wines to be of a higher quality than the usual by-the-glass selections at most restaurants and, with the exception of the chardonnay, paired quite nicely with the food. It is always enjoyable to be introduced to new wines that I would not normally order, and the sommelier was very eager to discuss the wines. Overall, a good meal. I think it is without question that Gary Danko stands as one of the top few restaurants in San Francisco (along with Masa's and possibly Charles Nob Hill). Both Masa's and Charles Nob Hill are at their best with longer, chef-selected tasting menus, so for nights when you want a shorter meal or more control over the direction, Gary Danko may be the best. My Mom was in from New York recently and she took some colleagues there for dinner. They all thought it was one of the best meals of their lives, and said the service was spectacular. Any recent reports? Has anyone ever asked that the chef augment the menu to a "chef's tasting" format? Would love to hear reactions/experiences of recent meals! I ate there a year ago and enjoyed myself but by all accounts not much has changed, including/specially the menu. 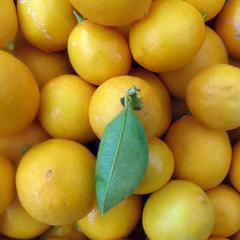 It is gold a standard here within San Francisco but reliable sources divulge that Danko himself worked in the kitchen in over two years. I'm glad I went but don't see much reason to return. 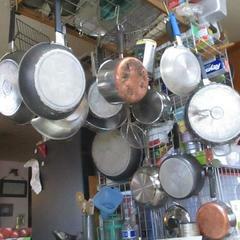 Everything is cooked and cooked (and cooked) so it's intense and dense. I found myself craving something fresh and acidic about 3/4 of the way through, even a simple dinner salad. Everything is logo'd and it gets a little odd. Even the weird muffin they give you as a parting favor. Why would I want a breakfast muffin? Maybe it's normal but I just kept thinking, Leave me alone, Gary Danko! Danko never disappoints me. I've had the tasting menu a few times, sat at the bar a few times, and always have felt the food, service, and wine have been top notch. 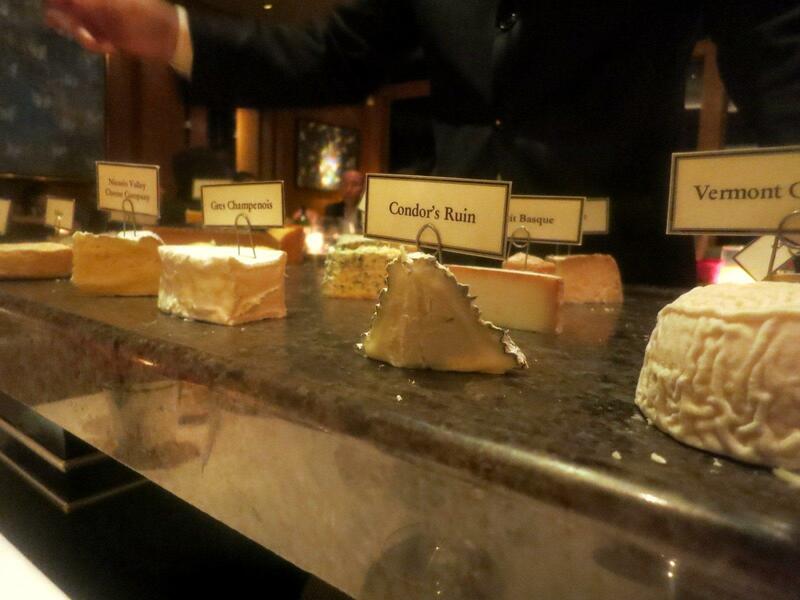 In addition, I've not seen a better cheese cart in San Francisco. Everything at Danko is executed in a very exact fashion - the staff never falters and the food is always cooked perfectly. The food is never daring or wildly different from exectations or description- but it's perfect. It's somewhat hard to describe but the best I can do is to say I have never come out of Gary Danko wishing some aspect of the meal was different. I'd say Gary Danko is to Californian cuisine as La Folie is to French in this city (which, incidentally, is one of my favorites in town). I'd highly recommend a visit - if you can't get reservations the bar is just as good. I'd say Gary Danko is to Californian cuisine as La Folie is to French in this city (which, incidentally, is one of my favorites in town). Funny, this seems to be the exact opposite of rancho gordo's observations. I'd highly recommend a visit - if you can't get reservations the bar is just as good. That's great to know, b/c I couldn't get reservations. Everything is logo'd and it gets a little odd. Help me out - "logo'd?" GD is stamped everywhere you look and then you're sent home with it. But look, I'd do the same thing. It's branding; it's just not my aesthetic. The whole thing reminded me of a dark spa, especially after the restroom where there's new age music and lotions and folded towels. For us the service was a little rushed. There were mere moments between courses. 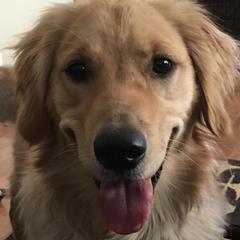 My friend had a piece of bread he was eating in his hand and the busperson asked him if he wanted to keep his bread plate. Of course he does! And despite my comments upthread, I enjoyed the actual food. I'd say the whole thing was interesting rather than great. They're trying to create an "experience" and I felt like I was watching a performance rather than having dinner with a friend. Thanks rancho_gordo for that clarification. If the food is spectacular, the atmosphere, unless it's unbearably loud, hardly ever affects me. The bar idea does attract me... does this mean I sit at the "bar" as in a traditional predominently liquer counter, or a "bar" as in a "pass" where I'll be able to interact, or at least watch the chefs in action? I much prefer the latter. The bar is where I ate -- it is the liquor station and not near the kitchen. I just had dinner at GD last night. I showed up to have dinner at the bar (or to be more specific I wanted to try to find a spot at the bar....my previous two attempts had failed) and was offered a table but with a time restraint, two hours and a half. We went for the four courses option. 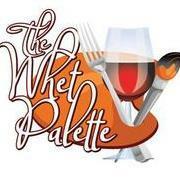 The food was very good and the service was spectacular. Seamus was my waiter and he did a very good job. We started with the tuna and the foie with apples. Both good, nothing spectacular nor new but great tasting fare. Horseradish Crusted Salmon Medallion with Dilled Cucumbers" and "Pan Steamed Shellfish with Thai Red Curry and Jasmine Rice," both excellent and again not the reinvention of the wheel just great food. And then came the winner of the night for me "Guinea Hen Breast with Hen Sausage, Bacon-Butternut Squash Risotto and Périgord Black Truffles" I would have never ordered the GHbreast but it was incredibly tasty. The duck was fine. We finished off the night with the chocolate souffle with vanilla and chocolate sauces. It was a very good meal, a little old fashioned for the high end dinner but still very, very good. The wine pairings were good. The service was attentive, fast and fun. Actually, out of many meals in SF, this was a great experience. I will go back soon. thanks to all at GD. I’m thinking about dinner here next month. The business casual dress code is appealing, as is the ability to order how many courses you want from their entire menu seems like a great concept. B and I went there last year in 2016. How time flies! We found our experience not as good as it could have been. We arrived early, and they didn't seat us until 50 minutes later, 20 minutes past our reservation time. When I asked what was taking so long, I was told "Well, you arrived early." That's not the point -- we had a reservation time of 9 pm and it's now 9:20 -- does everyone who comes here get seated late? Strike #1. Furthermore, we were seated at the bar and no staff came by to alert us; I had to get up to go speak to the host. "Thai soup" -- while it reminded me of tom kha gai and hit all the right flavor notes, I was asking myself why are we eating pseudo-Thai food in this restaurant? Not exactly an auspicious beginning. Strike #2 was that it took nearly 5 minutes *after* being seated before we received the menus, and when they brought us the menus, they also brought us the first amuse-bouche. It felt like a weird combination of: (1) we're being rushed and (2) we're being punished. 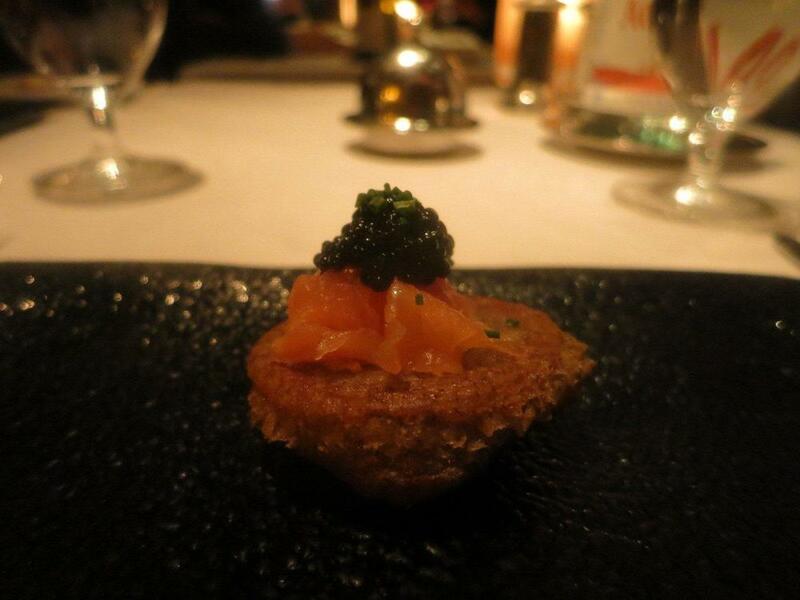 Buckwheat blini, salmon, osetra caviar. Well-made blini -- perfect, actually. Like butter-flavored clouds. 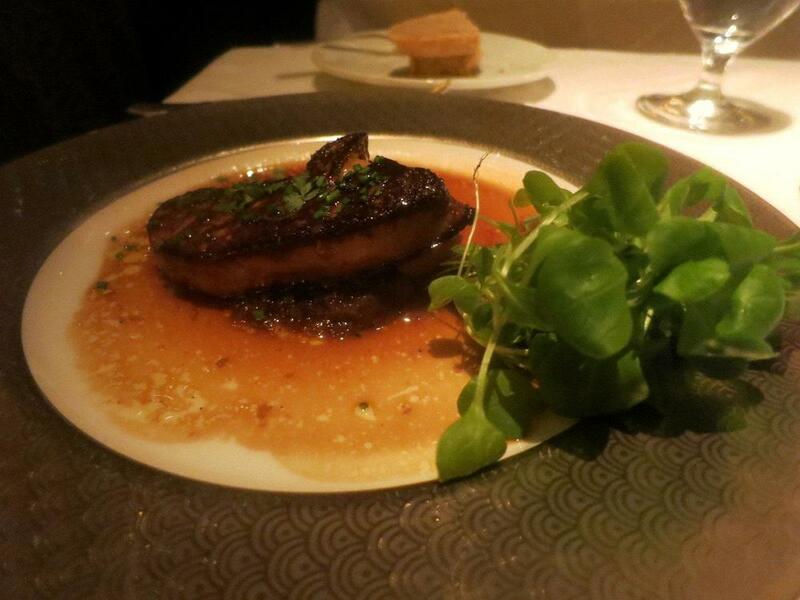 Seared foie gras, caramelized onion, poached rhubarb. Plating doesn't exactly inspire confidence, a theme you will see repeatedly throughout. Was prepared well though from what little I tasted. 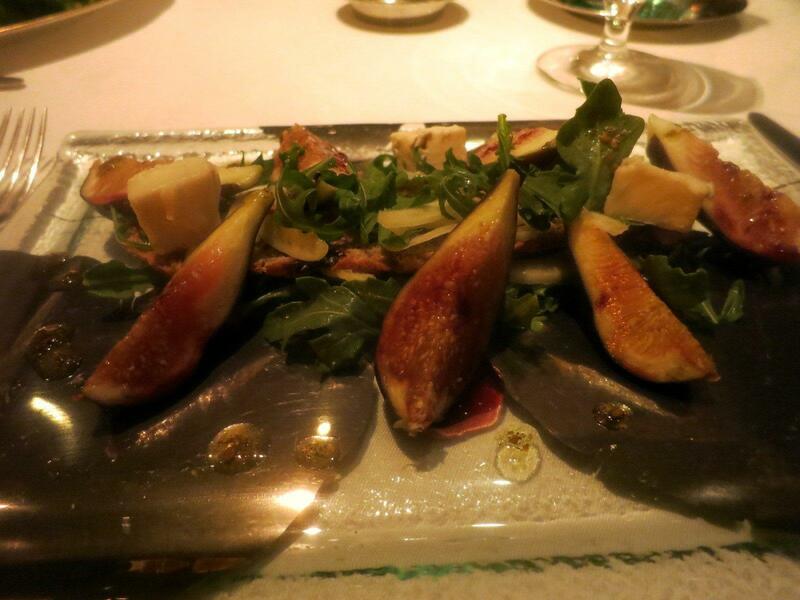 Figs, arugula, fennel, Gorgonzola cheese. Seared scallops, morels, English peas, Madeira. Excellent flavor, from the bite or two I stole off of B's plate. Sear on the scallops poorly executed though. 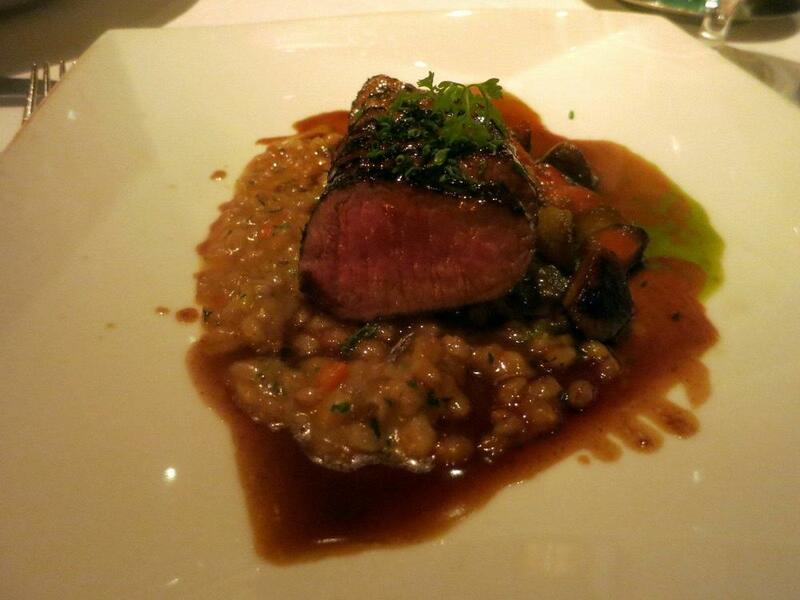 Lamb loin with farroto, Medjool dates, carrots and chermoula. The lamb was well-cooked. The plating sucked, the sauce was oversalted (basically, if you can taste it, it's too much), and the accompaniments slapdash. At this point, I was starting to become irritated. This is a restaurant that is supposed to be in the vanguard of San Francisco dining and for the prices that are being charged, everything should feel like perfection from the moment you step inside to when you depart. This was not it. Ixnay on the square plates. 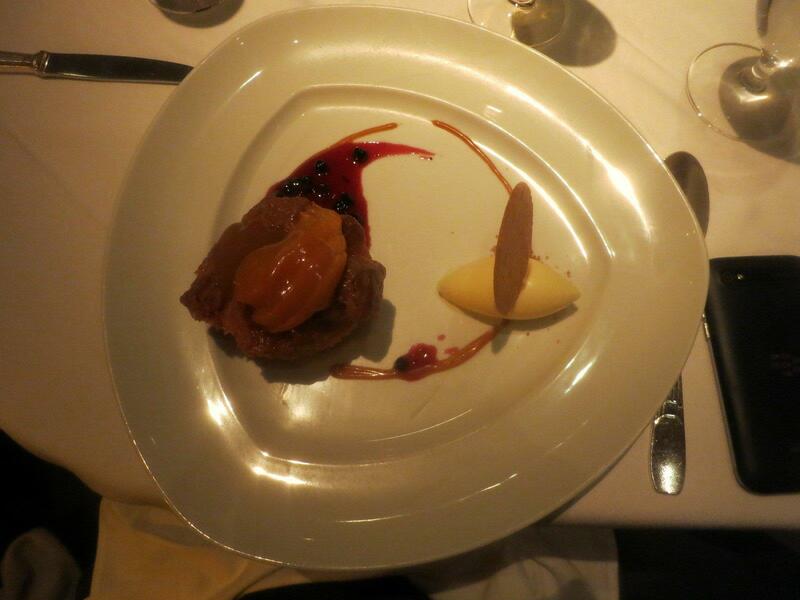 Louisiana butter cake, peaches, huckleberry compote, vanilla ice cream. Amateurish plating. Cake itself was "fine". Maybe I ordered wrong. I suppose it might have been a good restaurant -- in 1995. You can do better in the City. Thanks I thought that might be the case. I’m glad you confirmed it though! Even 2005, but few things last forever. Ok well like I said I’ll pass. I’d like to have a nice meal that isn’t steak centric. My husband loves his steaks but if there’s any great Italian restaurants, please let me know. One of my favorite Italian restaurants, not only in San Francisco but it would win the award in NYC as well, is La Ciccia, in Noe Valley. I haven't been in many years but the North Beach Restaurant was a go-to place. Thanks. 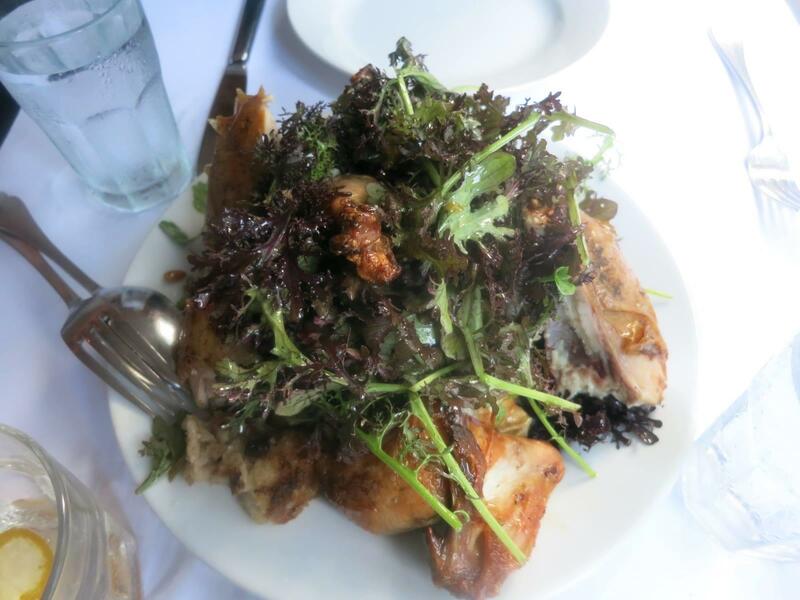 I’m thinking about Zuni Cafe for the roast chicken— is it as good was people mentioned in the past? And Liholiho Yacht Club because the menu is amazing. Photo shot in June 2016. I would have liked a touch more acidity in the vinaigrette. Very good roast chicken but no crisp skin. Moist, very flavorful. Thanks @ProfessionalHobbit my husband would eat steak 24/7 but I just can’t handle it. So I made a reservation at Gary Danko for my birthday, which falls on a Sunday (and is always on St Patrick’s Day). My reasoning behind doing so is that I can’t eat a lot of food. So the concept of having 2 appetizers and a cheese course while my husband eats more traditionally is appealing. That said, we will be in SF for 5 nights so I may cancel or change the Danko reservation in favor for Zuni, who’s opentable reservation system is currently offline. Our hotel is super close to Liholiho Yatch Club but they aren’t open on Sunday, so I’m hoping we can get there super early on Tuesday. We’re going to Napa for two nights as well. First time for me and my California born husband so we are going to get a private tour guide and hit up the better known wineries for a day. Any advice on how to get wine Home? I haven’t had the pleasure of a wine tour, but know people who do it very regularly and the wineries will pack your wine quite well for either taking on the plane, or they can ship it (probably...I know NJ used to have restrictions on liquor shipments, but thinking that some of that has eased?). NJ has relaxed the laws regarding shipping wine between states. I’ve read that wineries can charge a lot to ship. I looked into wine suitcases and they start at $300. That seems excessive, given that the wineries on my list are ones I could probably purchase at home (Peju, Silver Oak, so far). If you buy directly from the winery, they will ship it for you. This last trip, we invested in a small suitcase made specifically for wine (including padding) and were able to bring 8 bottles back. If it's not too many bottles, you can also purchase wine bubble sleeves anywhere in the valley and put it in your checked in luggage too.